Can ordinary life be like a vacation? What do we do differently that makes a vacation enjoyable and a return to home less than wonderful? I’ve been thinking about this because we just came home from living in Rome for most of December. The return has been difficult, not just because of jet lag and a bad cold, but because my consciousness has switched to home mode when it could very well be in Rome mode. How, you may ask? There are two ways that define my general manner when I’m at home. One is that I tend to hurry. I am in the habit of being quite busy so I rush to get things done. I even rush to brush my teeth in the morning; rush to make breakfast; rush to read through the paper and even hurry to finish the crossword puzzle. The other is that I am often thinking about something else when I move about, including when I’m outside going somewhere. What should I cook tonight? When is the next meeting at my house? Have I sent the email to remind people? I allow so much mind banter that I don’t see anything around me. I find myself on my way to a class without having seen anything from house to bus to train to other bus, even though there is so much to see!! What are the two ways that defined our stay in Rome? First, we moved slowly. When we were in Rome I didn’t feel rushed in the morning. I slowly put the coffee in the Italian coffee maker, put the contraption on the stove under medium heat and waited for the characteristic hiss and bubbling that let me know the coffee was ready. I didn’t look at the clock – time to go to the gym for Tai Chi . . .time to go singing . . .no, just sat back and waited for the appropriate sounds from the coffee maker. Second, I always noticed the beauty all around me, from the sky to the old ruins and colorful buildings; the old churches, a few with their Caravaggios or spectacular mosaics; the piazzas, the restaurants, the pizza places; the fountains, the trees, the birds, the people – everything. I was alert and saw what was around me. I wasn’t in my head thinking about what I needed to do next. Now, San Francisco is not Rome. Rome has more to see than almost anywhere I’ve ever been, but, the sky is the sky, trees are trees, birds are birds, people are people, vistas are vistas. There is beauty everywhere if you allow yourself the time and attention to see it. My New Years resolution this year is to slow down and experience my surroundings without being distracted by busy thought. Thank you, Rome! I opened Facebook the other day and saw the official announcement that Zen Hospice Project Guest House was closed. The carpets were rolled up. The furniture had been removed. The house is almost ready to sell. The staff at Zen Hospice was so caring and compassionate. The Threshold Choir sang bedside there twice a week, adding to the clients’ comfort during their last days on earth. This hospice was a model of what hospice could be, but, alas, their funding was private and had dried up. I read the sad comments on this post, and also felt sad, but at the same time I thought about the reverberations that would permanently continue to resonate from anyone who had been witness to the special care provided here. This is the Jewish month of Elul, the month before Rosh Hashanah and Yom Kippur; traditionally a time for self-reflection and change. As I thought about the reverberations of the now-closed Zen hospice I felt compelled to remember other instances that continue to inspire me to be a better person. To keep this short, I’ll share just three. I belong to the Threshold Choir, a choir that trains people to provide comfort by singing bedside. The rehearsal circle meets once per week to practice our songs. The culture of this group is a model of how people can relate to each other in community. We arrive to many hugs of welcome. We are kindly led by several rotating song leaders to work diligently on perfecting our singing. When we sing bedside in groups of three or four, the leaders have an uncanny sensitivity to the needs of the individual patient and choose songs appropriately. I am not a naturally warm and fuzzy person, but I am being inspired by the culture of this choir, to connect more with others in a warm way. I will always remember and be inspired by my almost 4-year-old grandson when he apologized to a friend of his. We all know that it can be difficult to admit that we were wrong and make amends. The next time I need to apologize to someone, the image of B, bending down and looking his friend in the eye and saying, “I’m sorry I yelled at you” will be there. Twenty-five years ago I was invited to a dinner at the parents home of a co-worker. The entire evening was so pleasant and comfortable for everyone. My co-worker’s father served the dinner in the most gracious, loving way. I continue to work on emulating his graciousness. He served one dinner that continues to affect my thoughts and behavior, even after 25 years! As I reflect during this month of Elul and during these trying times I am committed to remember and foster these reverberating moments. The renowned Zen practitioner and teacher Charlotte Joko Beck quotes the priest Anthony Demillo, who said that we should view all people as mean, vicious, untrustworthy, and manipulative. And innocent. And blameless. We are all products of our cultural backgrounds. We learn behaviors and beliefs from our parents and they from their parents and so on. We are influenced by media, our education system, our peers, so many conveyors of various cultural expressions, some, as we know being racist, sexist, all kinds of ist. We struggle on. We change, or at least try very hard to change. 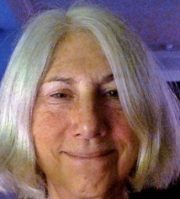 Soon I’ll be talking with some children in a secular Jewish school about my personal story as a feminist, how I grew up in a religious environment that valued boys over girls, how I left that world to fight against the war in Viet Nam and ultimately to become part of the new wave of feminism in the late 1960’s and early 1970’s. Thinking about my own history, I remembered the newscasters on a particularly liberal news program on public television called Newsroom. The newscasters, all men, snickered about this new wave of feminism. It was a big joke to them. These same newscasters would never laugh now about feminism. Those now in their chairs have changed. Remembering this episode in my own history feeds my optimism. What am I leading up to? I love the creativity of Louis C.K. I love the films of Woody Allen. I love the writing of Leo Tolstoy and Norman Mailer and Philip Roth. I could go on. Claire Dederer recently wrote a piece in The Paris Review called “What Do We Do With the Art of Monstrous Men?” She included a long, though not comprehensive, list of famous men whose values in their actual life (as opposed to their art) were unacceptable. These are just Twitter tags and certainly not a comprehensive list. Will I never see a Woody Allen film again? Will I never listen to Miles Davis? Is Ezra Pound on the no-read list? Is Tolstoy? No. I would feel impoverished if I could no longer see “Annie Hall” or read War and Peace. I, personally, am more comfortable separating the artist from the art. If there is something that I find objectionable in the art, I’ll be the first person to point this out. When Mel Gibson’s “Passion of the Christ” came out, I saw it. I felt comfortable critiquing his breaking of the criteria for the evaluation of dramatizations of the Passion that the National Conference of Catholic Bishops had drawn up. Whether or not Mel Gibson was or is an anti-Semite is irrelevant to me, except insofar as his anti-Semitism is conveyed in his films. In that film, I believe it was, and I was quite vocal about my objections. Should I not see “Braveheart?” “Mad Max?” I refuse to be confined to seeing the work of proven righteous people. How are we to know who is righteous enough to be allowed to express themselves artistically? I am strongly disappointed in Louis C.K. and Woody Allen and all the flawed artists who have been accused of sexual misconduct. But I do not want to deprive myself or anyone of their genius. So I am also strongly disappointed in the call for boycotting all the work of these perpetrators. We are punishing ourselves for their misconduct, and this makes no sense to me. I am as distraught as I’m sure you are about the times in which we find ourselves. There are violent white supremacists marching in the streets; violent antifa activists who think they can take care of the situation; and most of us, who show up to say that we will act in a peaceful manner and make ourselves heard. We will stand against Islamaphobia, racism, and anti-Semitism. But is standing up and being seen enough? I think the answer to that question is no. Here is why. We who are liberal are blind to those who voted for Trump. That is why Trump won the election. When you live in a bubble you do not have a whole lot to say about what will happen in a national election. I know – Hillary actually won the popular vote – but 63,000,000 people voted for Trump. Why is that? We need to know about the suffering of those who were so desperate for change that they voted for Trump. Young conservatives become radicalized when they are treated as less than human. Groups like the Patriot Prayer folks who were about to rally in San Francisco, are paranoid and feel a persecution complex. When you beat them up; when you do not recognize that they are human beings, they become more and more radicalized and may eventually become more extreme than they already are. I was impressed with how individuals who were likely from the Patriot Prayer group walked through the crowd at the Civic C enter in San Francisco and were not harassed. They were just there – no issue at all. The situation in Berkeley was completely different. The antifa people, who, apparently, love a good fight, may have helped radicalize people to a more extreme position than they originally held. Having peace requires being peace, as we will always remember from the Civil Rights Movement. Create an alternative – do not attend a hate rally. Find another outlet for anger and frustration and for people’s desire to do something. Hold a unity rally or parade to draw attention away from hate. Dig deeper. Look inside yourself for biases and stereotypes. Commit to disrupting hate and intolerance at home, at school, in the workplace, and in faith communities. I would add that as we educate ourselves and dig deeper, that we look at our own demonization of those who disagree with us, and see if we are projecting something undeserved on those who may not be as extreme as the most radical right-wing Nazi white supremacists. There are organizations like livingroomconversations.org, and Center for Building a Culture of Empathy. We need to talk to each other before it’s too late and we end up being divided beyond repair. I haven’t written for quite a while. I’ve indulged my obsessive orientation towards whatever project to which I’ve committed myself. The latest project was to create an in-law apartment for my husband and myself. The project involved hiring a contractor, discontinuing our relationship with that contractor due to cost concerns, hiring another contractor, being involved with every detail of the design and building of the place – picking out woodwork, cabinets, sinks, faucets, tile, flooring, paint; everything. I spent countless hours shopping on the internet, shopping for the basic items such as pulls for cabinets and all the other basic items that are needed to create a kitchen and bathroom. Most of the furniture we bought was used, but to find nice used furniture also involved more obsessing; hours combing through listings on the internet; hours going from thrift shop to thrift shop. The process took well over 2 years. We have finally moved in and I’m reeling with exhaustion, excitement, joy, sense of accomplishment, and a strong sense that the difficulties involved were surely a First World problem. I go back and forth between thinking that it surely was worth the time and cost to create a nice place for my husband and me to live and to provide space upstairs for our daughter, son-in-law, and grandson. The conflict that creeps up on me, though, is the sense that with the world as it is, how can I spend this much time trying to make us comfortable when everything around me is falling apart, when refugees are dying as they try to reach a safe haven; where health care access is being decimated in the U.S.; where populist movements in the west are destroying what I used to think of as a progressive globalism. You get the picture. Is it okay to meditate, garden, create a warm space for yourself, your extended family, and your friends? Is it okay to live a comfortable, privileged life when the whole world is falling apart around you? Let’s flash back to the 1960’s. In those days I was obsessed about one thing – to end U.S. involvement in the war in Vietnam. I remember the militant anti-war demonstrations. Since that time I’ve read more about Vietnam. I know people whose lives in Vietnam were destroyed not only because of U.S. involvement but from abuses done by the side who we thought were so pure and good. I learned that political activism requires a balanced, integrated approach that considers all sides of every issue. One-sided obsession is immature and nonproductive; rather, a balanced, rational, empathic, open-hearted approach is needed. Militancy against war makes no sense to me now. Looking at issues in absolutes doesn’t make sense either. I look for a middle way. * For me to achieve that balance requires paying attention to my own balance as an individual. To have compassion for all concerned needs to start with my own balance, rather than the old way of obsessing in a one-dimensional way that ignores my own needs and that ignores my own dark side. We project that darkness onto what we perceive to be our enemy and the self-righteousness that ensues leads nowhere, in my opinion. There it is – some hearty stream-of-consciousness words that will give you an idea of what I’m thinking about. Does any of this make sense to you? Let me know your thoughts. What truly matters [to me]? Later in the day, I saw a post requesting prayers for Jerusalem. Many people quoted the Bible and Jesus in response to this request. My first thought was that I would ignore the post, since the responses seemed insular. But – wait, I just learned the five questions. Do I have to look at this request as demanding an insular response? I wonder if I could answer the request from a perspective that makes sense to me. Couldn’t we at least try to find a way to express our point of view that is inclusive and loving? I could begin to help by expressing an inclusive point of view. Maybe further down the road I could become active in a dialogue group that would help to change the situation in this contested part of the world. What truly matters to me is love – for myself, my family, my community, the world community; I believe that we have to have compassion for everyone; looking out only for ones own will not serve humanity and the planet – and I think that the conflict this attitude produces prevents your own and everyone else’s happiness. I posted my thoughts about my wish for peace among all people in Jerusalem; Muslim, Jewish, Christian, Atheist, Agnostic, Buddhist – ALL people. Maybe my post wasn’t in sync with the others, but maybe someone was open hearted enough to realize that there are more points of view than what was reflected in the hundreds of absolute fundamentalist statements rolling down the page. These five questions inspire me to consider engaging in more dialogue than I am wont to do ordinarily. These times may require that we all engage more in dialogue. For me, posing these five questions even on something as possibly insignificant as a Facebook post is a helpful exercise to try them out.